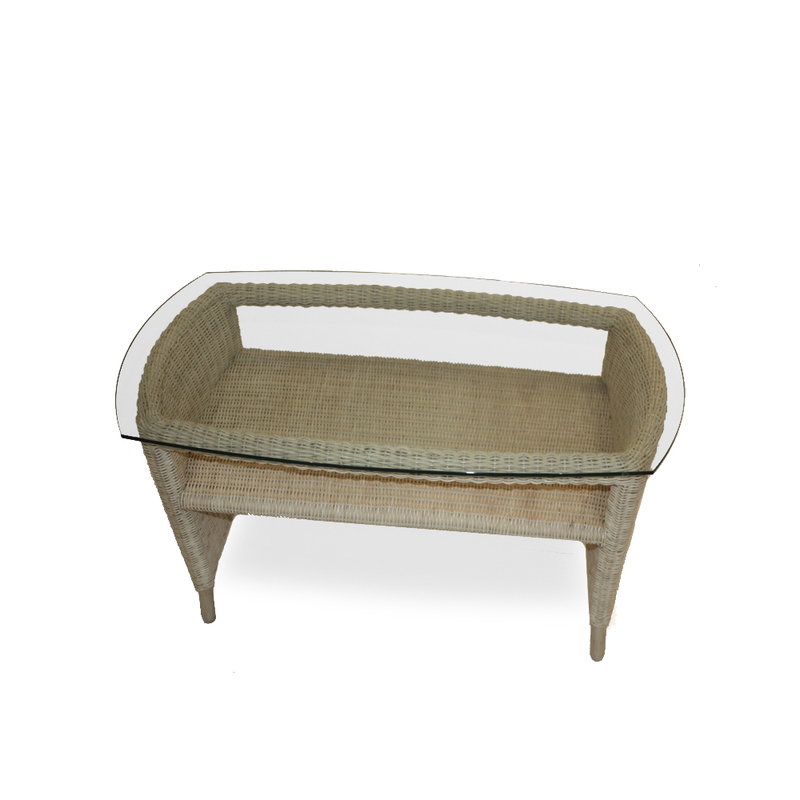 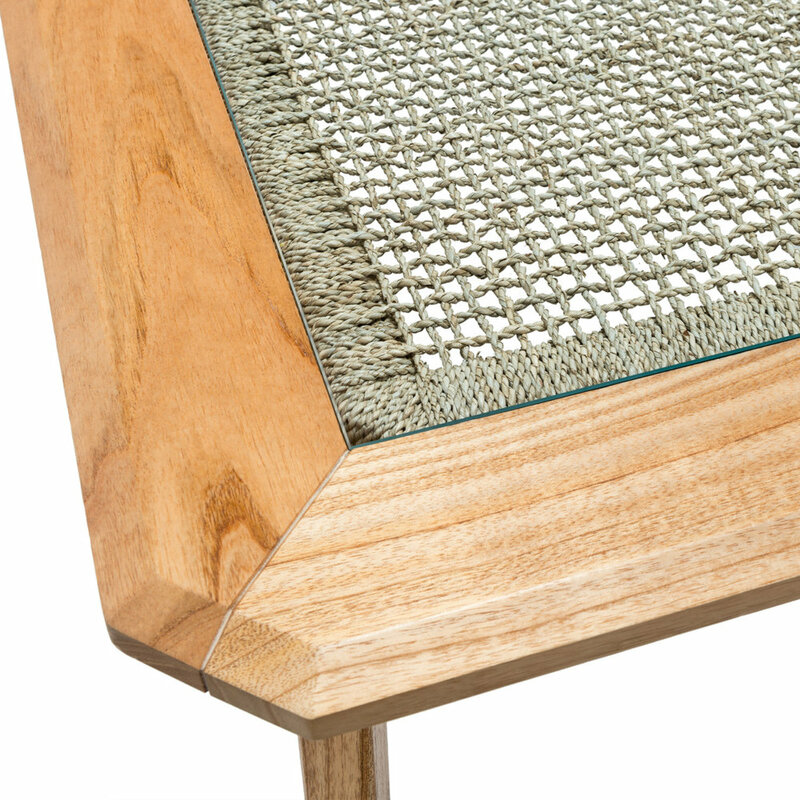 With classic blend of materials: mindi wood, seagrass and glass. 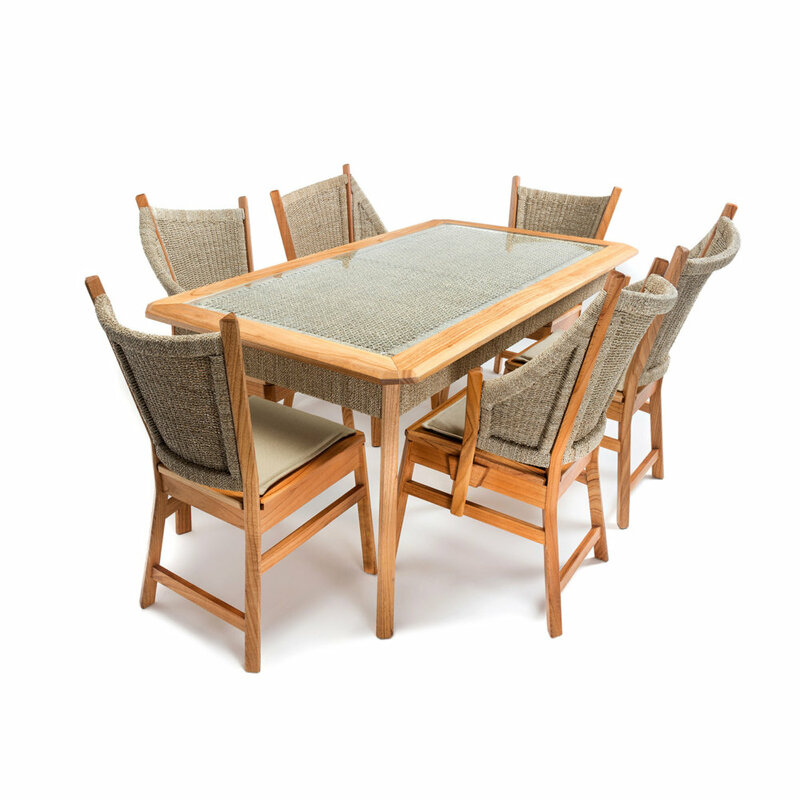 Customers and show visitors have been asking us for some time whether we would develop a dining table and chairs. 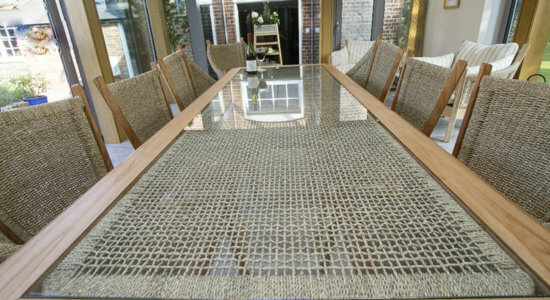 It made sense to us as an idea because lots of people use their conservatories and garden-rooms for eating and entertaining. 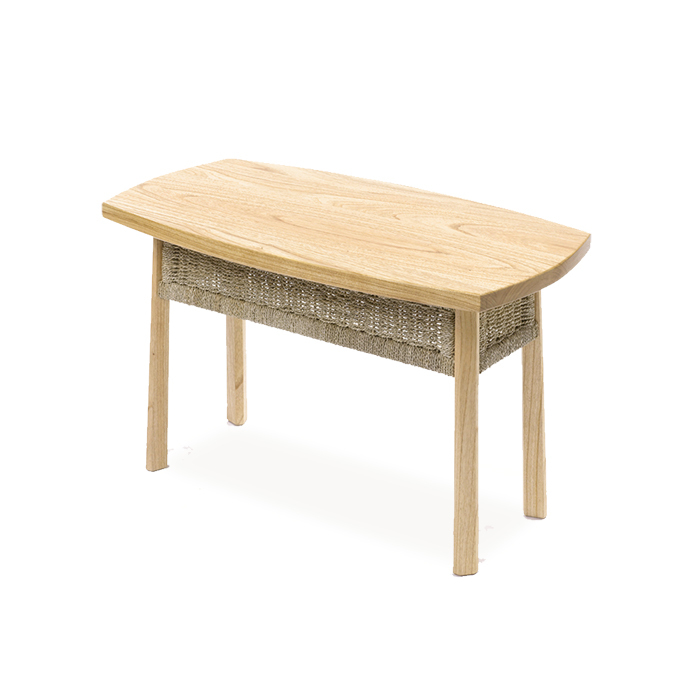 So we briefed our Swedish designer Tord Kjellstrom to come up with a design which would a) complement our Semarang range, b) use the same raw materials, mindi wood and seagrass, and c) bring something unique to the world of dining. 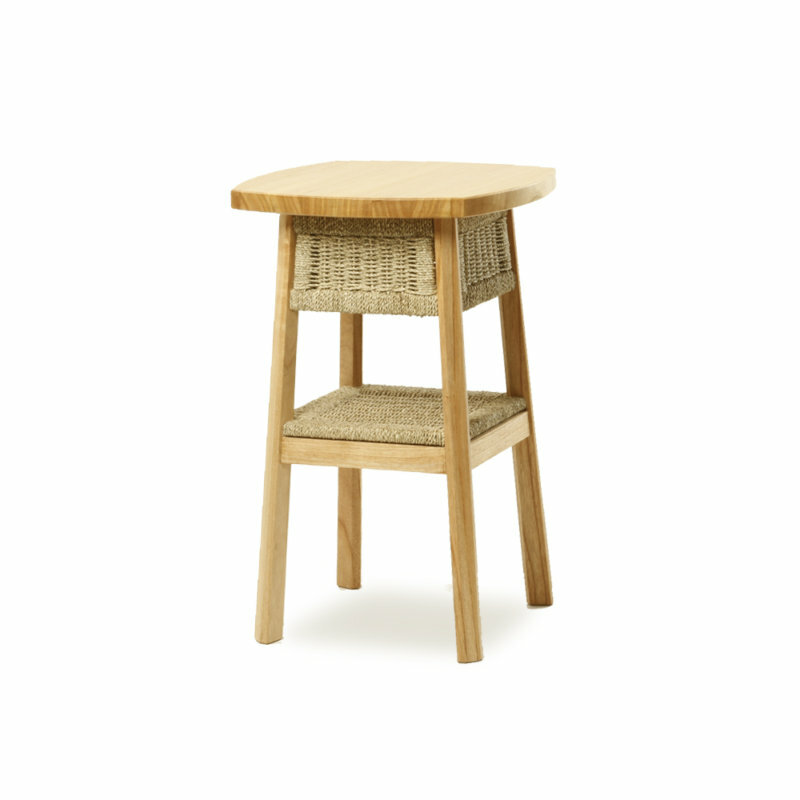 Swedish design flair enhances the dining experience. 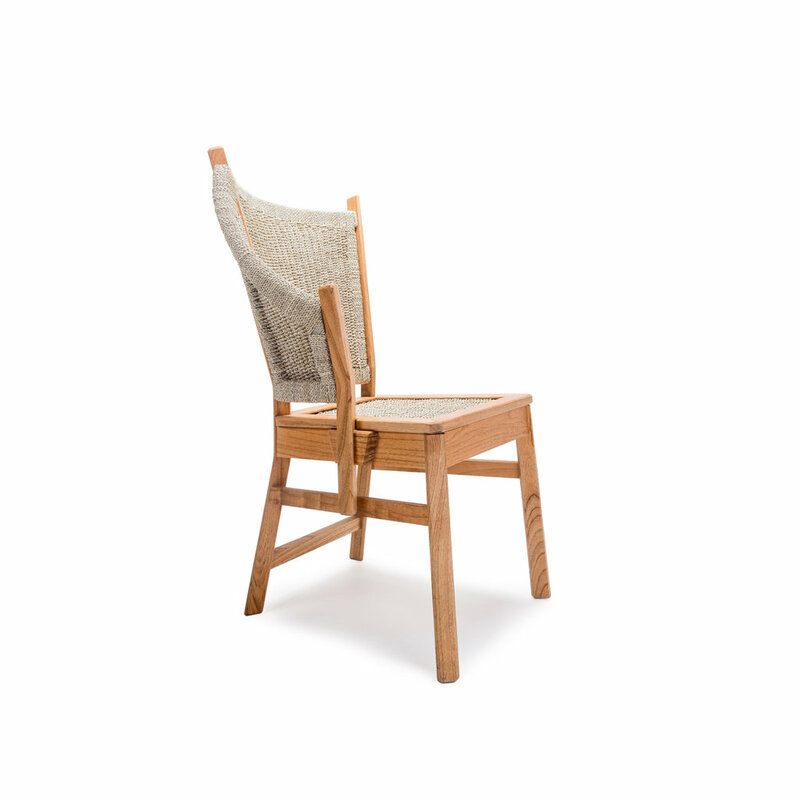 Tord set to work a couple of years ago and came up with the idea of a chair which would be more sociable. 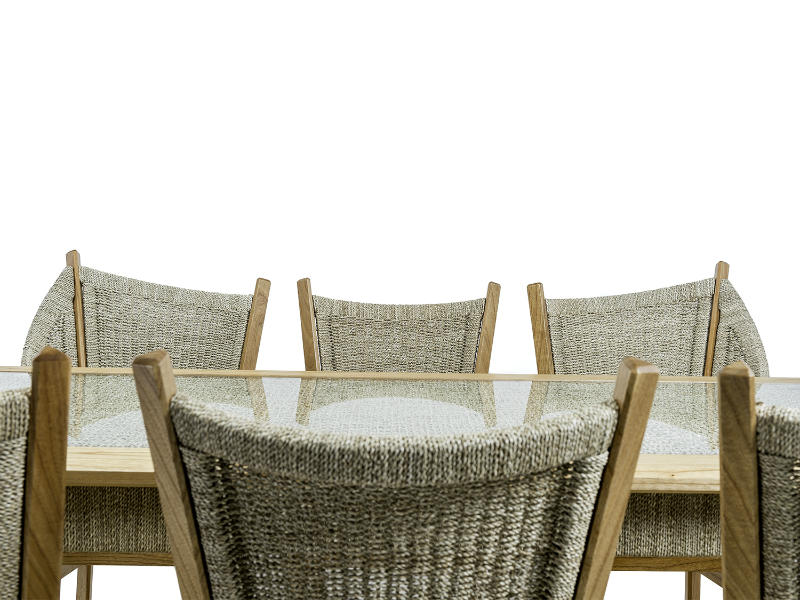 In particular, he was thinking about those classic moments between courses, and at the end of the meal, when you want to relax. 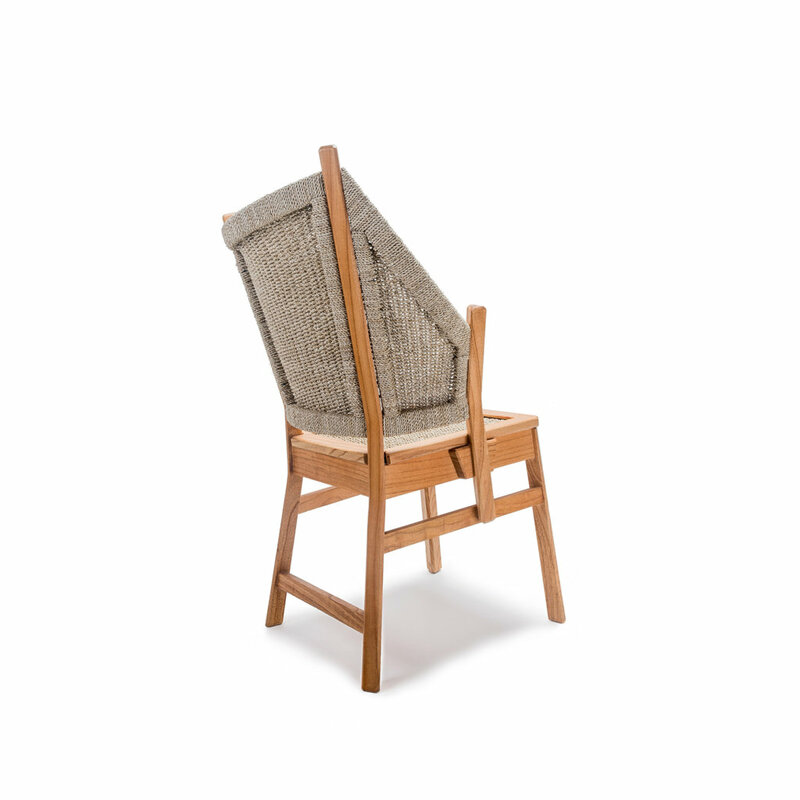 That gave rise to the idea of a one-sided chair that would allow you to twist and turn to chat with your neighbour in a properly relaxed way. 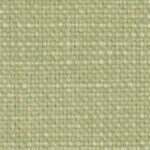 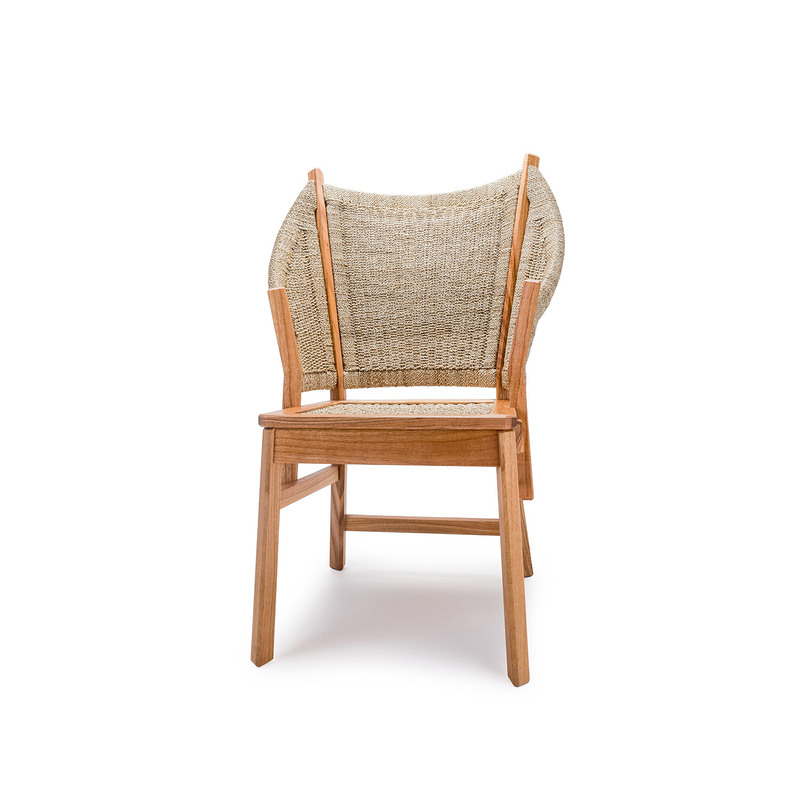 Mindi wood and seagrass weave. 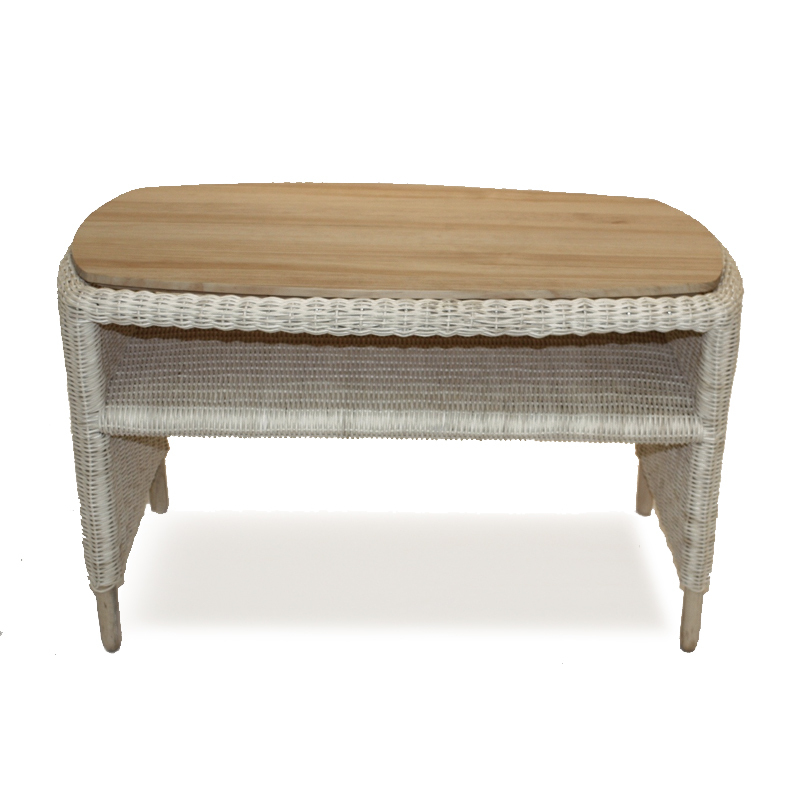 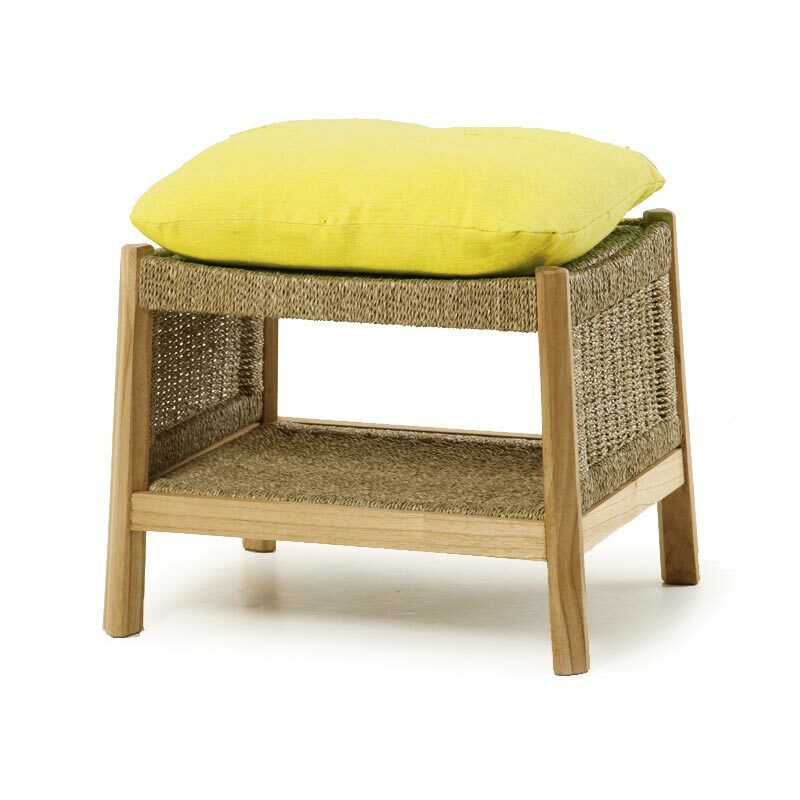 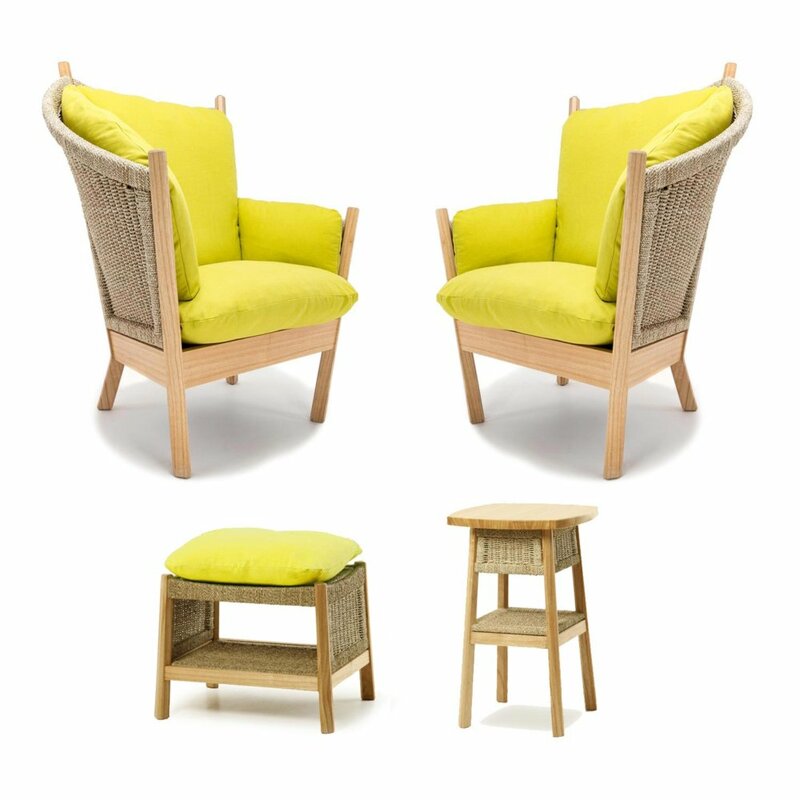 The chairs combine a strong but stylish frame made in mindi wood with beautiful hand-woven seagrass panels. These panels display the superb weaving skills of our Indonesian producers. 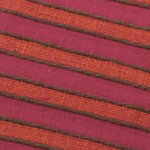 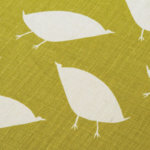 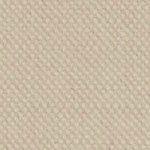 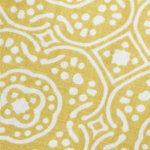 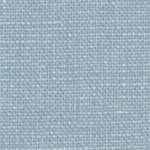 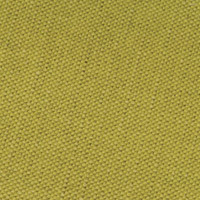 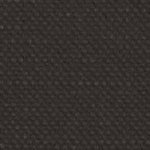 Seat pads are provided in the fabric/colourway of your choice to make the chairs even more comfortable. 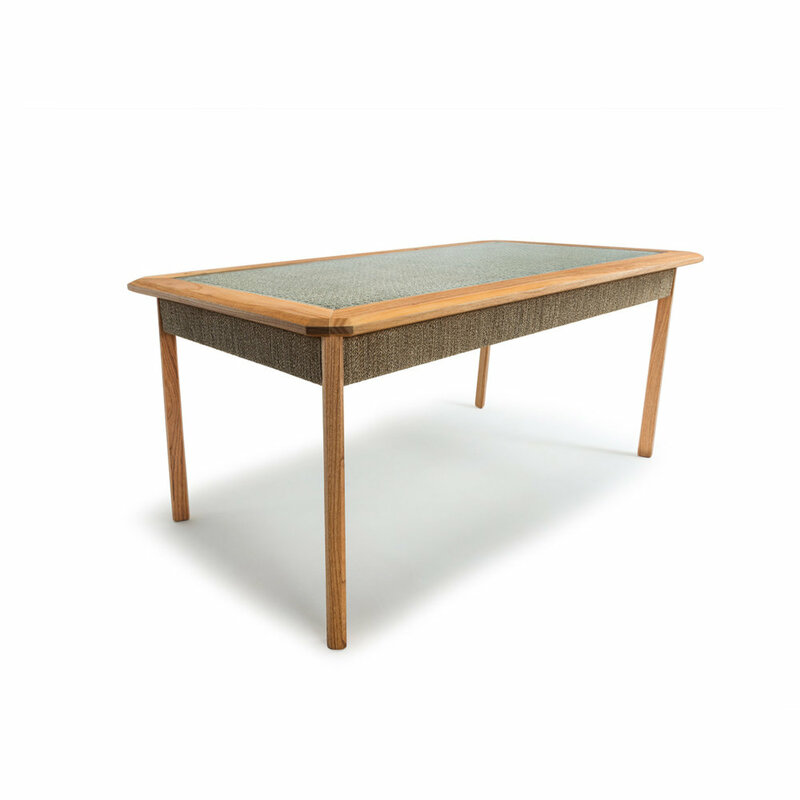 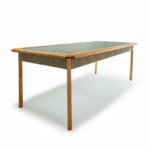 The tables themselves combine a wooden (mindi) frame, with a toughened glass top which sits above a woven panel of seagrass – creating a pleasing semi-transparent effect. 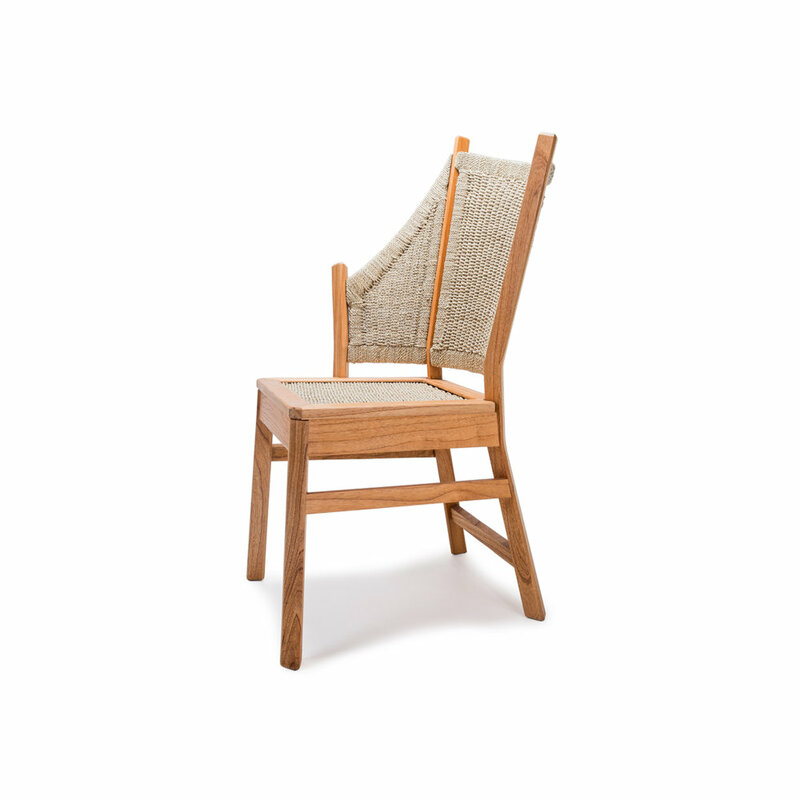 There are four chair types available: a left and a right-sided chair, a middle chair with no side, and a carver chair with two sides. When you put the left, middle and right-sided chairs together you end up with a lovely flowing line. 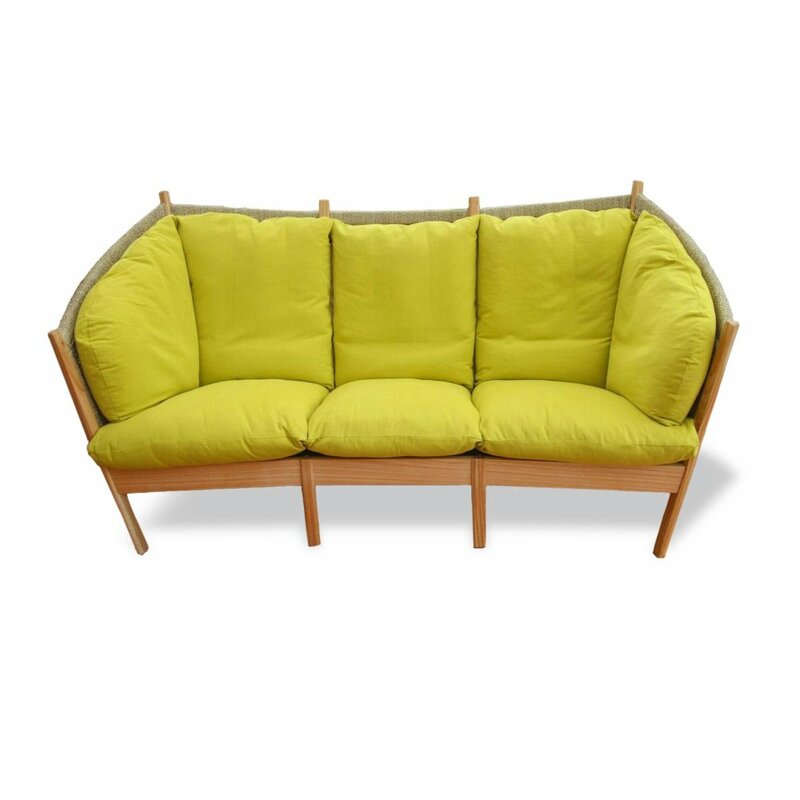 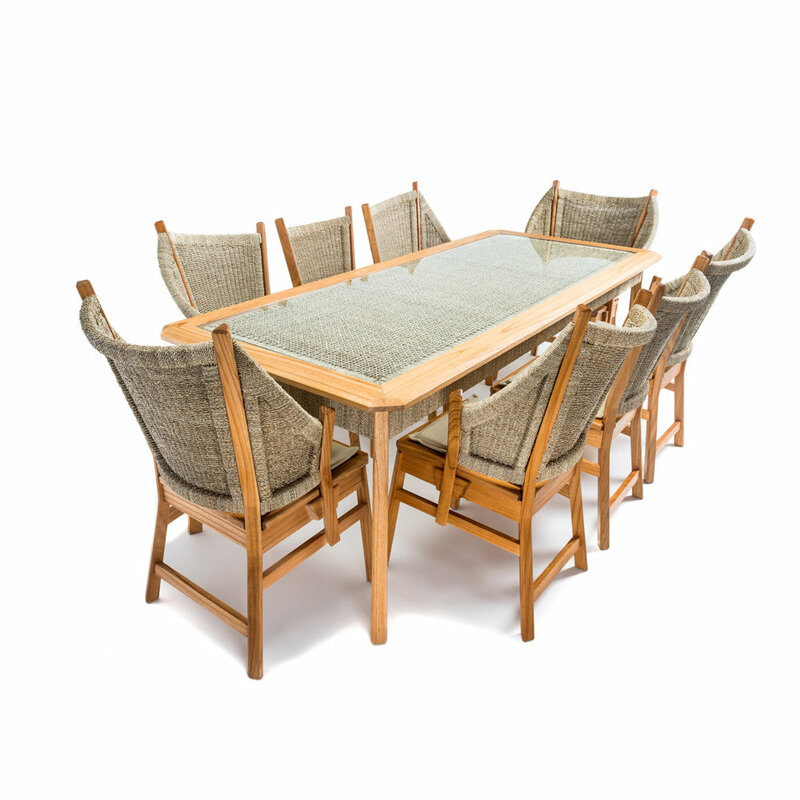 There are two lengths of table available: a 6-seater which is 1.7m long, and an 8-seater which is 2.2m long. 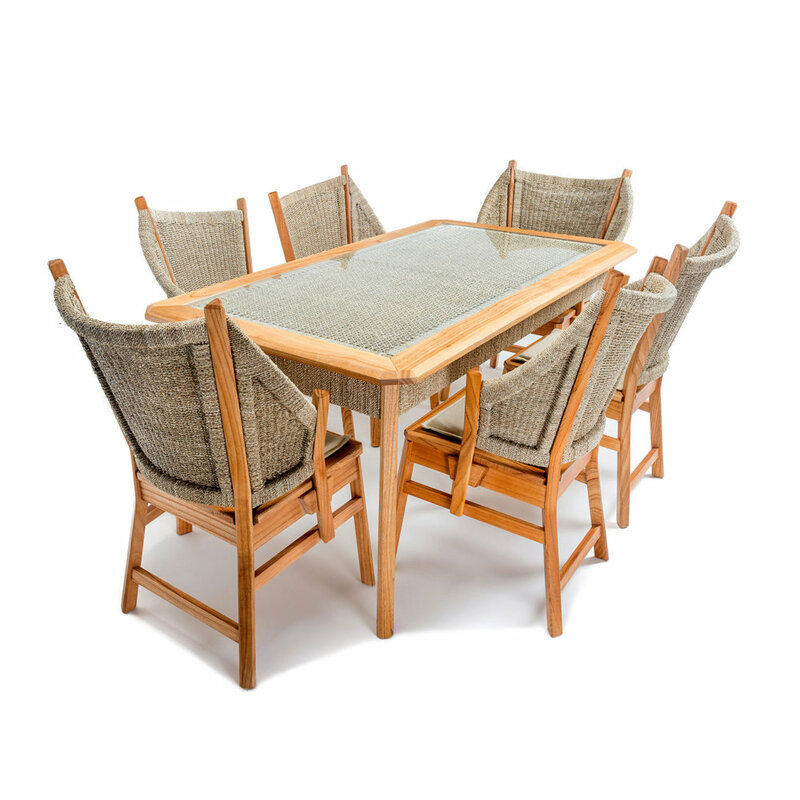 You have a choice of three combination sets, one with table and chairs for 8 people, and two options for seating six people at our shorter 1.7m table. 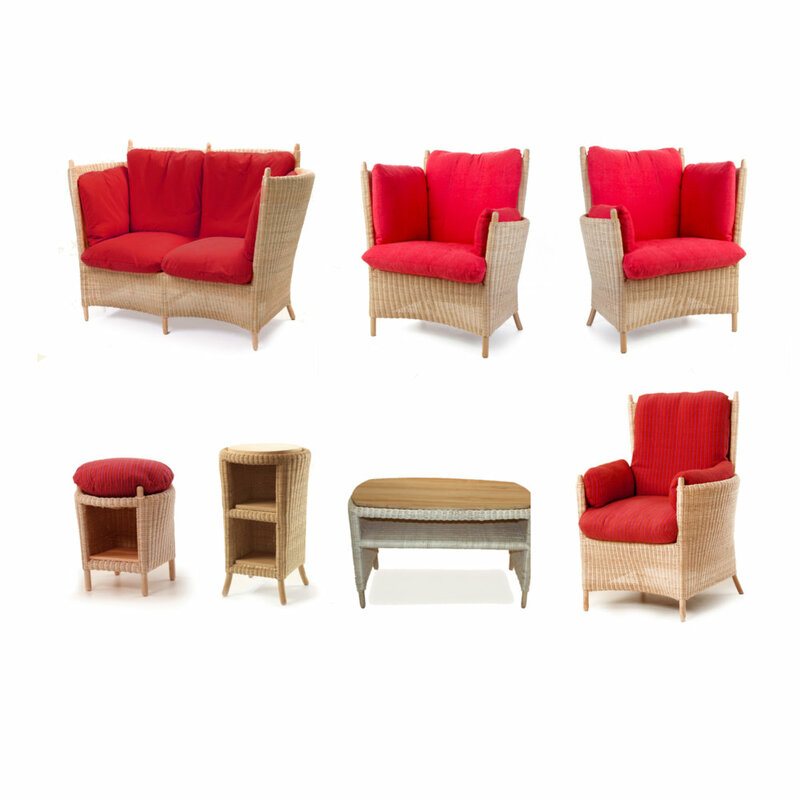 Categories: Semarang Dining, Modern Garden Room Furniture, Open Plan Living Furniture. 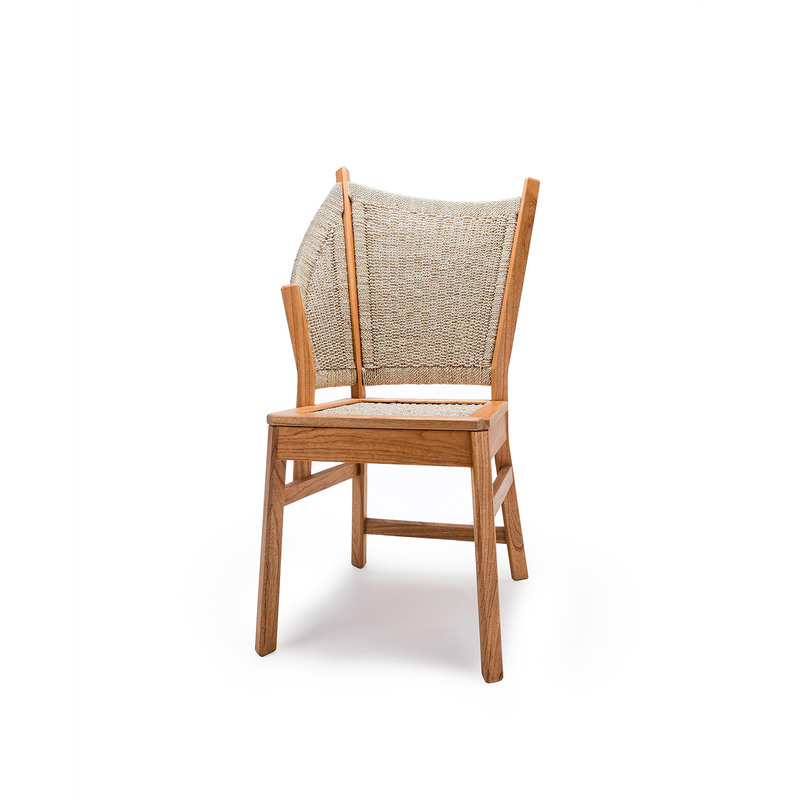 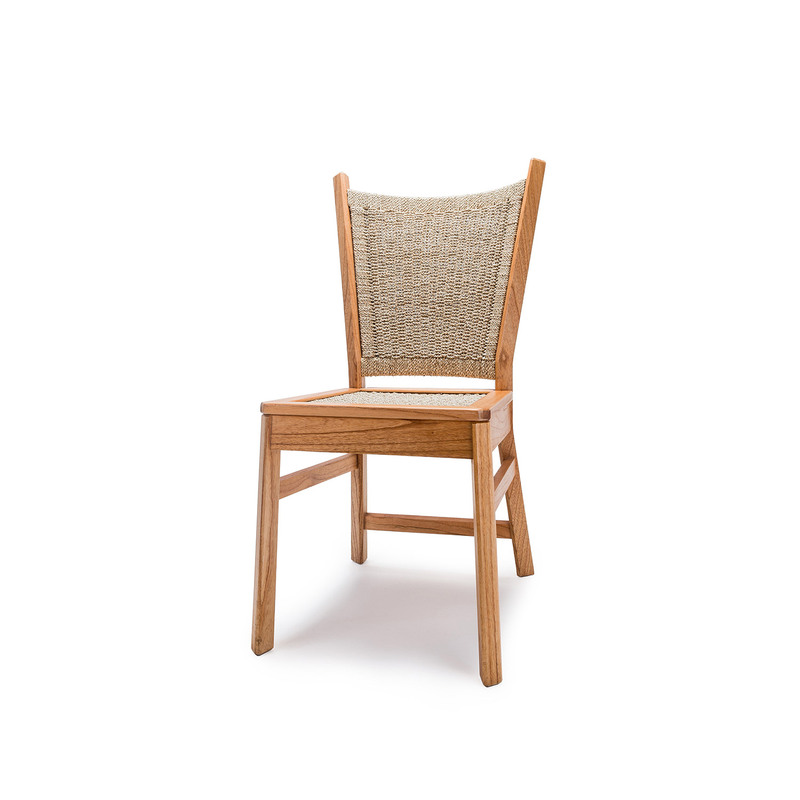 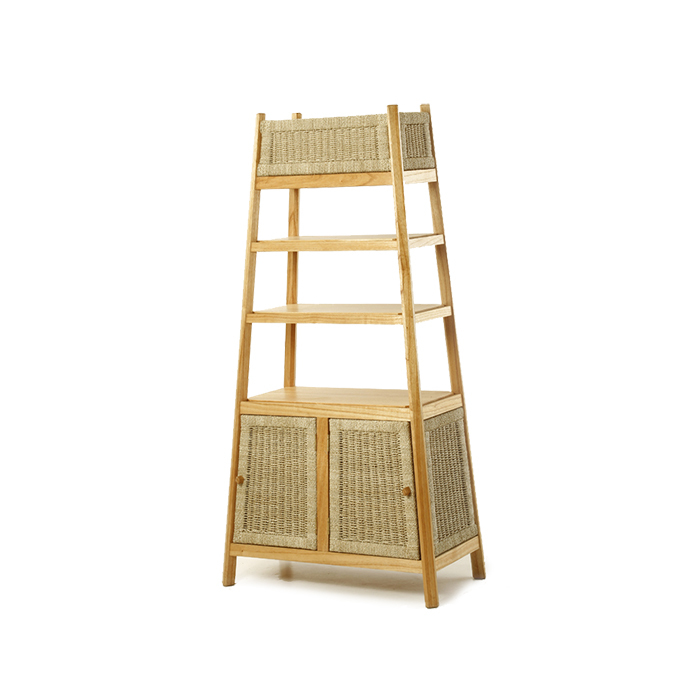 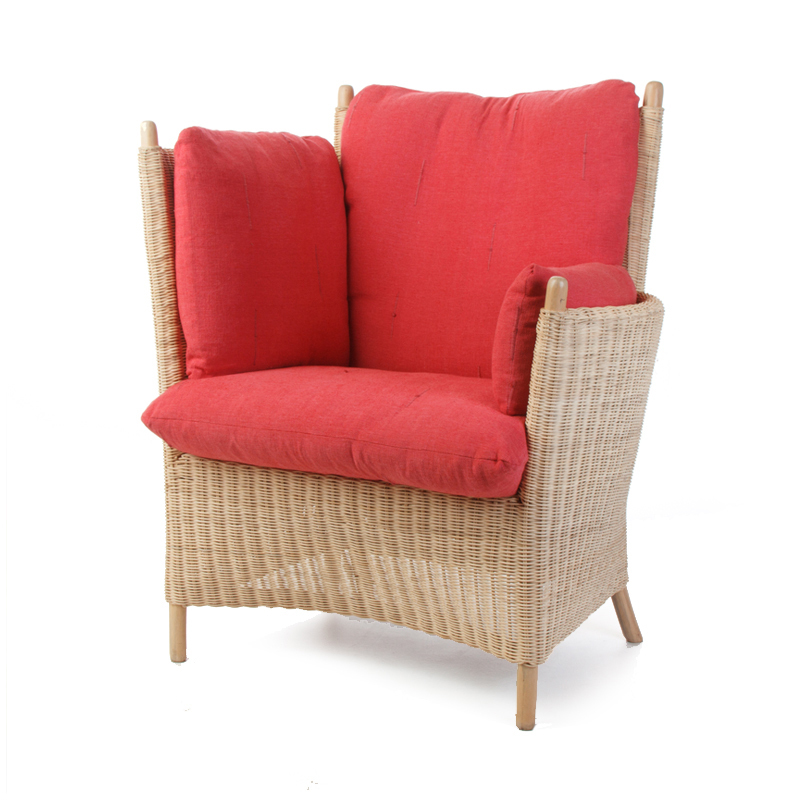 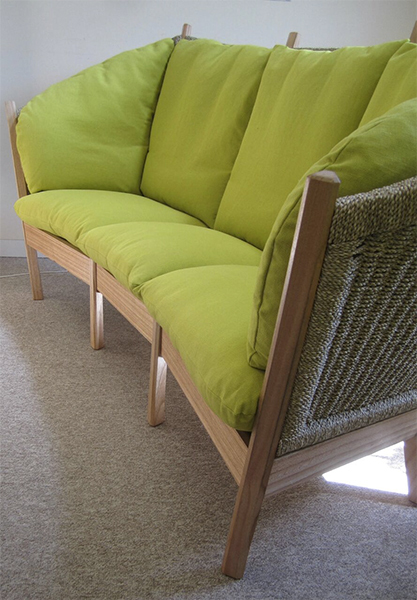 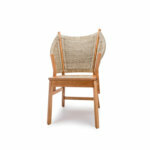 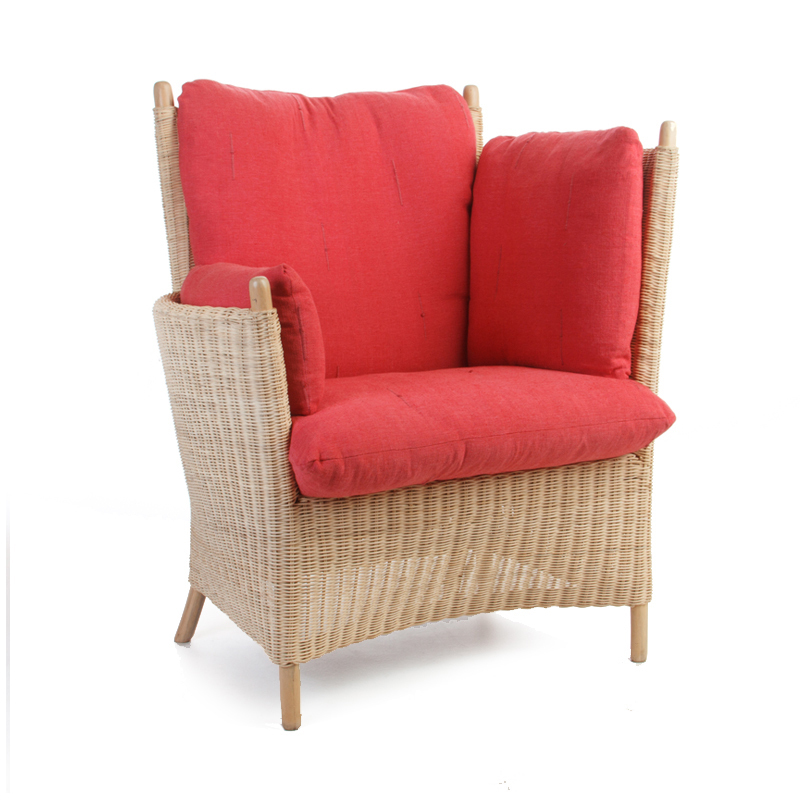 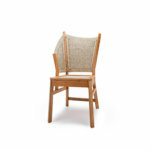 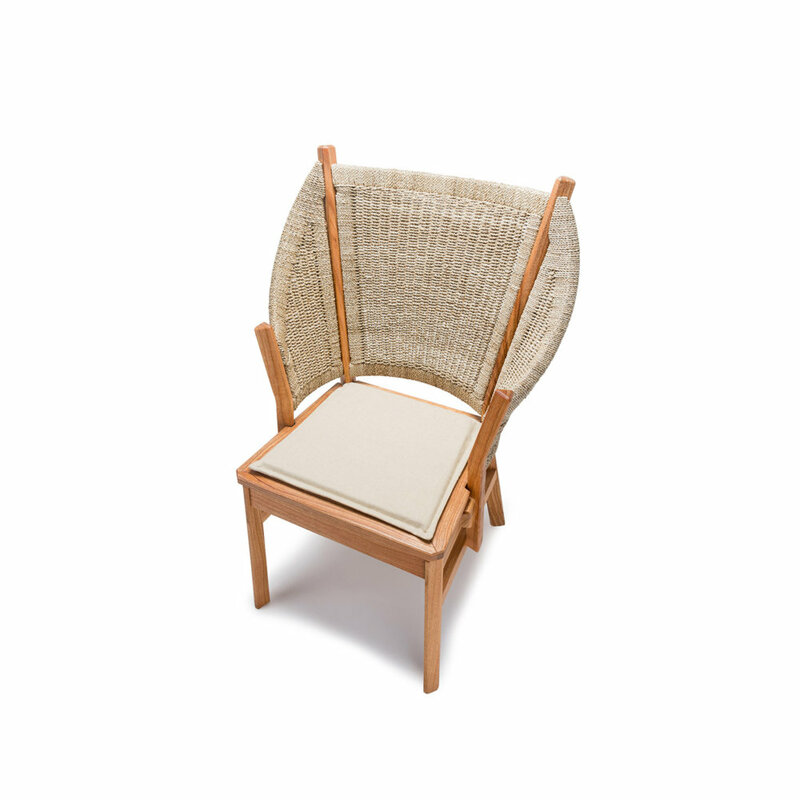 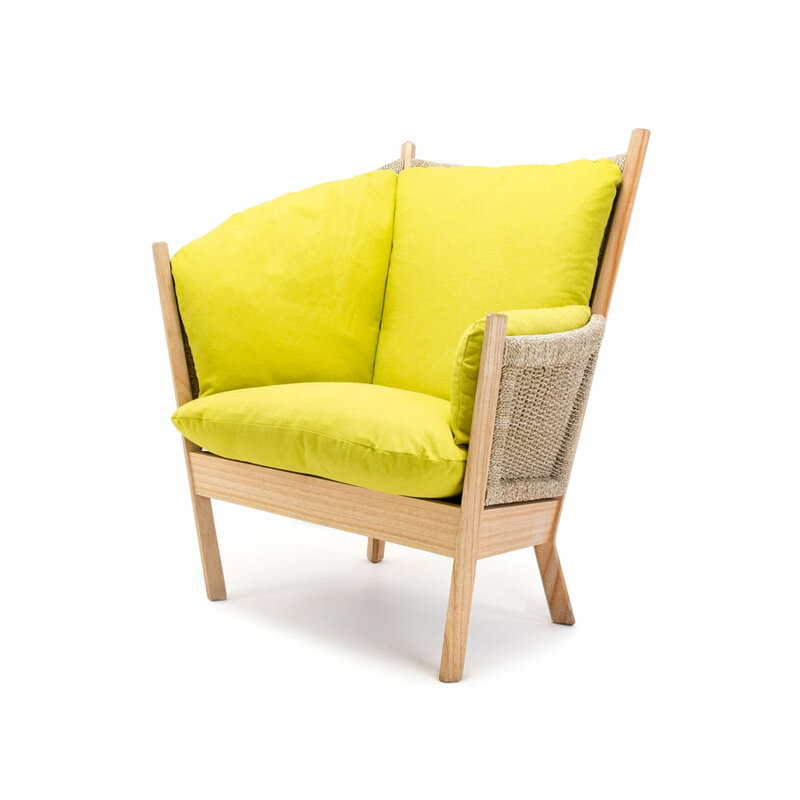 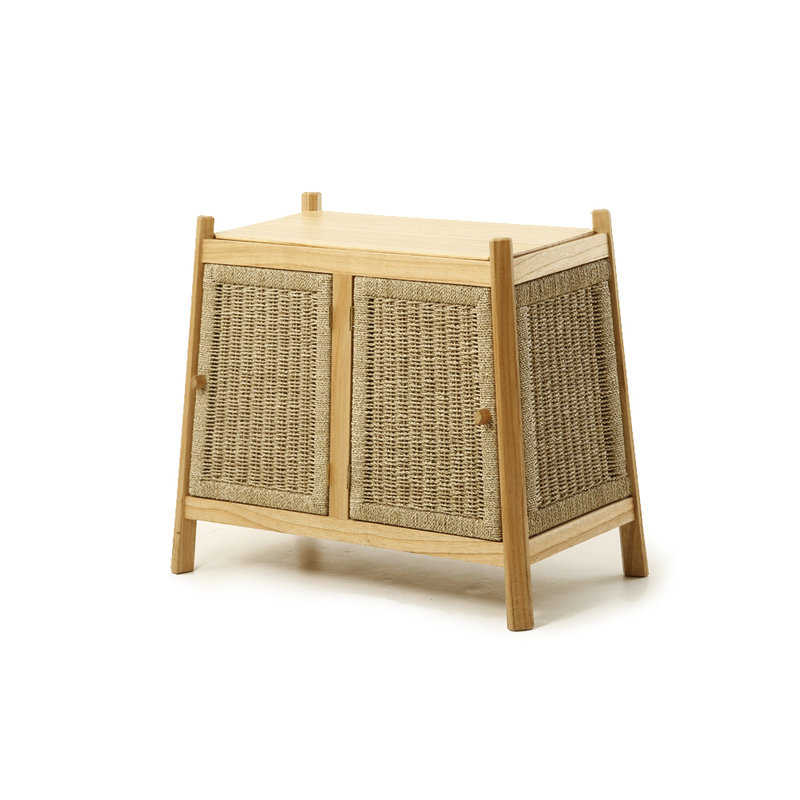 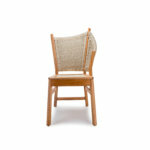 The chairs combines a strong but stylish frame made in mindi wood with beautiful hand-woven seagrass panels. 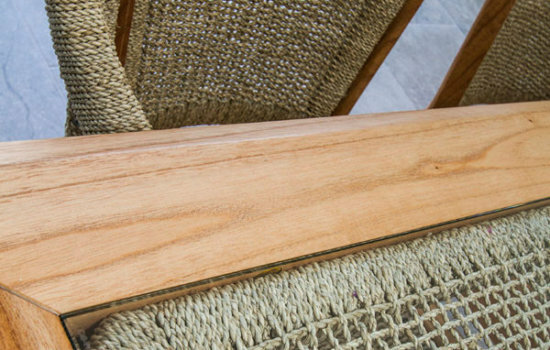 These panels display the superb weaving skills of our Indonesian producers. 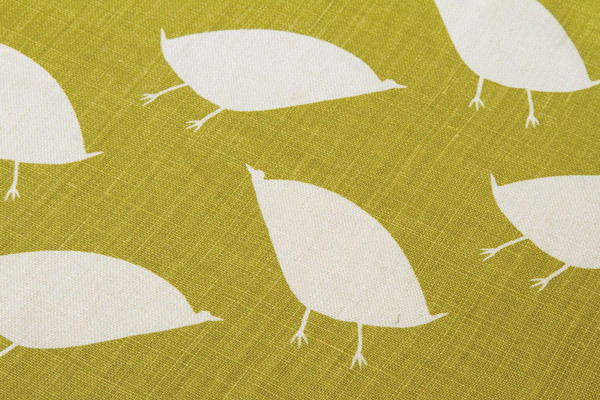 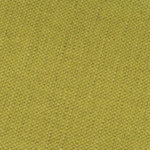 Seat pads are provided in the fabric/colourway of your choice to make the chairs even more comfortable. 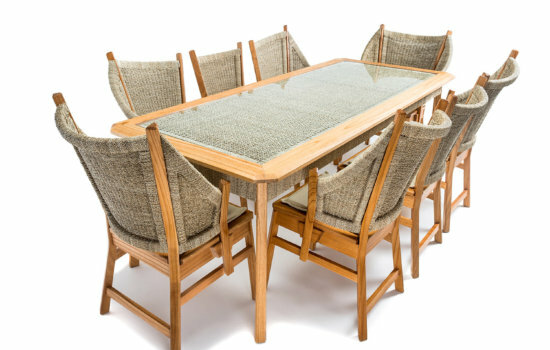 Categories: Semarang Dining, Dining Room Furniture, Modern Garden Room Furniture, Open Plan Living Furniture.